The process of steam sterilisation kills soil pathogens such as soil-borne fungi and bacteria, fungus gnat eggs, snails, other pest insects, weeds and weed seeds. However, the steam is non-discriminating in its killing action, so beneficial insects, fungi and bacteria are also killed. Sterilised soil is just what it says: devoid of life. One way to re-establish balance after sterilisation is to re-introduce beneficial fungi into the soil. Mycorrhizal fungi are symbiotic fungi that grow on the roots of plants, physically protecting them from pathogens with a sock-like layer (or, mantle). The fungi dissolve nutrients in the soil and transport them into the plant roots. In return, the plant provides finished goods in the form of proteins and sugars to the fungi. Mycorrhizae fungi spread out into the soil and in effect extend the root system by up to 100 times. There are several species of mycorrhizal fungi available on the market. Many mycorrhizal fungi available on the market today contain several species of fungi to take the guesswork out of which species is needed for which crop. Another beneficial fungus to consider using is trichoderma. 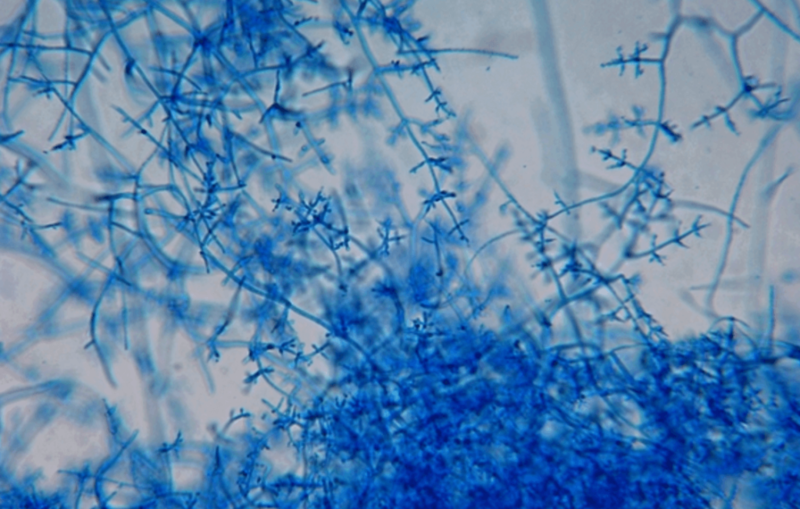 Trichoderma is similar to mycorrhizae in that they attach themselves to the plant roots and spread out into the soil to dissolve nutrients for the plant. But Trichoderma has some other advantages over mycorrhizae. They have as two enzyme systems: cellulose, which breaks down organic matter, and chitinase, which breaks down chitin (a major structural component of fungal cell walls). So, typically in the springtime when temperatures are cooler and the pathogen population is low, Trichoderma will break down cellulose materials in the soil like sawdust, bark, leaf litter, dead roots, etc. to provide nutrients to the plant roots. But when the weather warms and pathogenic fungi begin to grow in the soil, trichoderma produces chitinase and actually parasitizes pathogenic soil-borne fungi like pythium, Rhizoctonia and others. A beneficial bacterium that has gained a lot of attention in recent years is Bacillus subtilis, and it is a good biological to add to sterilised soils to regain balance. This beneficial bacterium produces not only enzymes but antibiotics as well. And Bacillus subtilis has a tail (or, flagellum) that makes it mobile when the soil is moist so it can go on seek and destroy missions in your soil to hunt down and destroy soil pathogens. Be wary of products that list many biological agents. Some agents might actually feed on each other. And, with many biological species in a mix, how can you be sure there is enough of any one organism to be effective at rapidly regaining a balanced population in your sterilised soil? There are many organisms that live in soil, but not all are the best competitors with soil pathogens. Stay with species that have a body of scientific research demonstrating that they are beneficial to soils. Sterilised soils with low organic matter content might not be able to support a healthy population of beneficial organisms. In this case, the addition of humic acid might be the solution. Humic acids are a concentrated form of organic matter. As plant matter decays, it goes through several forms on its way to becoming coal. Plants die and then become compost, peat, brown coal, Leonardite and black coal over time. This progression is marked by a loss of oxygen in the molecules. For example, black coal is not an oxygenated fuel. 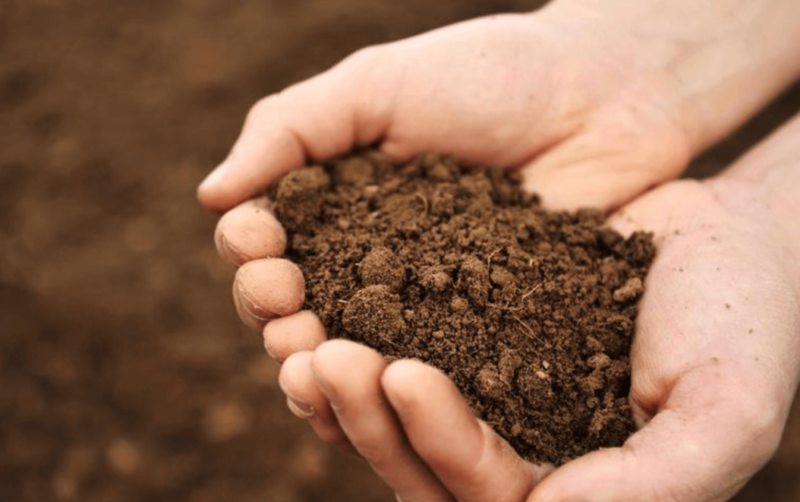 The oxygen in humic acid acts as a magnet to nutrients in the soil. Calcium, iron, manganese, magnesium and zinc all attach to these many oxygen sites on humic acid and become available for plants to absorb and use. Not only that, humic acids are an excellent source of carbon for the beneficial fungi I mentioned earlier. Moreover, humic acids are known plant stimulants. Sometimes soil becomes difficult to wet after many cycles of steam sterilisation, kind of like burned soils after a forest fire. One product that can help overcome this phenomenon is a wetting agent. There are several wetting agents on the market with many of them being chemically derived or synthetic. One natural wetting agent is derived from yucca plants. Yucca is a desert plant that withstands very high temperatures in very dry conditions. It is thought that saponins in the plant are responsible for this water-conserving action. Yucca saponins are routinely added to commercial bulk soil mixes or bagged soil mixes to help aid in water distribution in pots. A side benefit to this water distribution is that fertilizers and nutrients carried in the water are also more evenly distributed with the addition of yucca saponins. Since the high temperature associated with soil sterilisation can alter the chemistry of saponins, it is a good idea to reapply them to the soil after the sterilization process. All of the materials I have mentioned are available in the market as either conventional products or organically certified products. By adding the organic versions of these materials after soil sterilisation, you can save yourself a lot of headaches with soil-borne diseases and insects, produce a healthier crop and minimize your exposure to toxic chemicals. And the great thing is you don’t have to wear a moon suit to apply them! Previous Previous post: Copper: Helpful or Harmful for Plant Health?